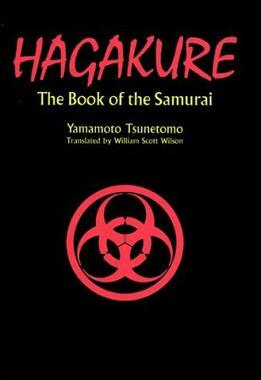 I have begun reading Hagakure as part of a renewed study in “Bushido” — the way of the warrior. Hagakure is translated as “Hidden by the Leaves” or “In the Shadow of Leaves” and is a practical and spiritual guide for samurai warriors. It was written by Tsuramoto Tashiro from his conversations with the samurai Yamamoto Tsunetomo from 1709 to 1716. This was one of the first sentences that resonated with me. I am reading the Hagakure to learn from the wisdom of a samurai who lived more than 300 years ago. I have sought out, and continue to seek, opportunities to train with the Kenpo Seniors. These are the men and women who were Mr Parker’s senior students and the closest living source to his teachings. This paragraph also resonates with me. The concept of CANI (Constant And Never-Ending Improvement) beautifully stated centuries ago. I love being a student. I always have, since childhood, and am happy to see that my oldest son loves school as well (hopefully his baby brother will too!). For me, part of the value of martial arts, is that it allows me to be a life-long learner. I began studying Kenpo in September 1991 and after 23 years I am still fascinated by the depth of our system. I am equally fascinated by the “whole” of martial arts. The styles and systems that are practiced around the world and their variations that are practiced. The “…never in his whole life thinks that he has succeeded.” also reminds me of one of Mr. Kovar’s sayings, “Happy, but never satisfied.”. As a student, teacher and business owner I try to enjoy where I am in the process, while “advancing daily” towards my goals.